Built-in Delta Temperature screening tools are available with the QL320 to enable access to optimal thermal contrast during leak inspections. 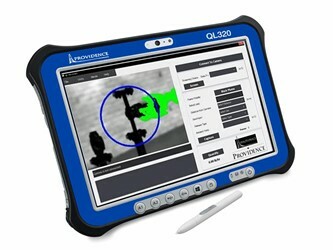 The QL320 is portable, simple to use, and able to provide field results within seconds. A free response factor calculator is provided for determining how well FLIR OGI cameras can see specific gases. This system is rugged enough for use in gas fields, refineries, or other industrial settings with a touch-screen, dust- and water-tight (IP65 certified) tablet-system setup. For additional information on the QL320™ qOGI system, download the available datasheet.